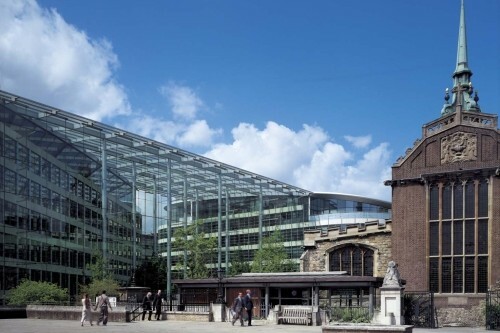 The project „Tower Place” adjacent to the „Tower of London” in the heart of the City of London, consist of an atrium between two separate buildings. 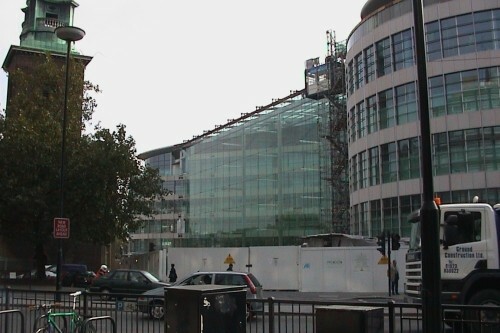 They include office space as well restaurants and shops. 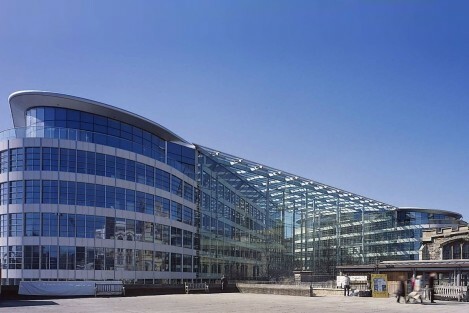 The two buildings are linked by a public atrium. The atrium is limited at the side by two horizontal pre stressed glazed facades with a total area of approximately 2000 m². 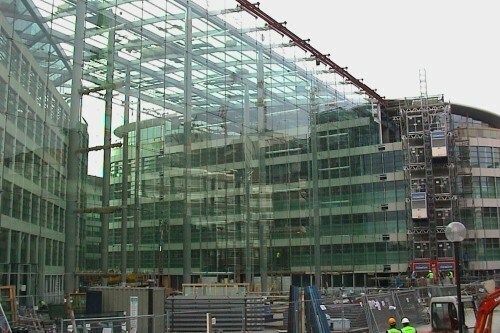 The glass panes are fixed by wires at the top to the steel construction of the roof. The total area of lightly inclined roof glazing is approximately 1500 m². 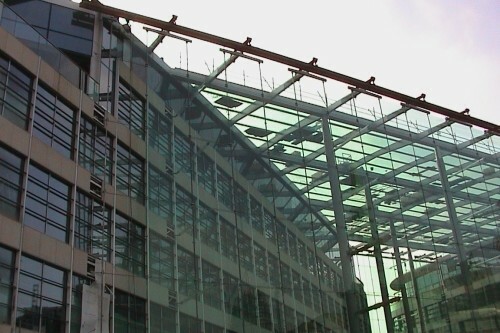 The glass panes are supported by rectangular hollow steel beams. The support of the roof construction is on the one side the adjacent facades and on the other side 11 steel columns. The columns have a height of approximately 26,0 m and a diameter of approximately 600 mm. For a minimum horizontal deflection of the facade due to the wind the wires are supported by needles to the columns.